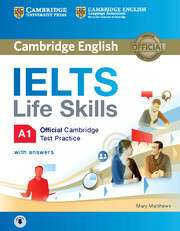 This Student's Book prepares candidates for the IELTS Life Skills - A1 Speaking and Listening exam which is used to prove language level for UK Visa requirements. 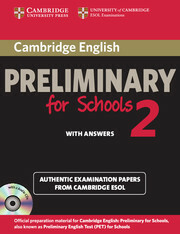 It includes four practice tests for the exam with a full answer key. There is an introduction to the exam with information about what to expect and guidelines for teachers on how to assess students. There are model Speaking answers, practice exercises and exam tips to support candidates. The accompanying Audio is downloadable using an access code in the book. Audio CDs are also available separately for class use.